Of all the roles connected to project management, project accounting is arguably one of the most specialized and simultaneously ubiquitous in the field. A project accountant’s role as “a specific project management practice that identifies, monitors, and summarizes costs incurred in a project to provide an overview of the project’s financial state and cost performance,” according to Taskmanagementguide.com. It is a way of “connecting the financial system of an organization with project activities in which the organization is involved.” That’s all well and good to hear it described theoretically, but what will a project accountant’s role actually translate into, for your business? Let’s imagine you own a printing company. You take on large printing jobs for corporates in Johannesburg. However, you were recently approached by a friend to spearhead a vast printing job in Bloemfontein. The contract will be a lucrative one, but will involve hiring a facility in Bloemfontein, hiring the necessary equipment, sourcing and purchasing what needs to be printed in the North West province, hiring management staff to oversee things and operational staff to make it happen. You decide to run this task as a project. Your first step might be to hire a project manager. Your second step might be to hire a project accountant to work alongside them. Now that they’re on board, here are some tasks that your project accountant can be relied on to carry out effectively. Tell the (financial) past and future of the project. A project accountant estimates project costs before the project begins. She would get quotes for hiring facilities and equipment, an estimate of paper costs and a guide as to how much the staff you need will cost for the duration of the project. She’ll give you an idea of what the whole thing will cost the company, and why. As the project progresses, your project accountant will track costs and keep management abreast of expenses. At the end of the project, he or she ensures that costs are accounted for as part of your corporate expenses. As your project accountant tracks project expenses, he’s making sure that the company is making profit on what it outlays. He does that by preparing the in-depth, detailed client invoices for your Bloemfontein contact. He makes sure that no expense is incurred without it being passed onto the client (where appropriate). Provides monthly reports comparing projected costs to actual costs, forecasting and budgeting for the next period. Your project accountant will help you know where things went over budget and why, and how to cut back in order to remain on track or readjust expectations in order to stay realistic. The end of the month comes, and oh no! You’ve forgotten to pay the local printing foreman for his time. You didn’t factor that cost into your budget, and you’ll have to dip into the company credit card to cover expenses. Scenarios like this are the reason that unexpected costs incur. If you’ve got a project accountant, they should be limited to fiction. Your project accountant will constantly be looking for ways to keep cash flowing into the project. That means she will be proactively invoicing your client and following up on payment. It also means she’ll be searching for extra ways to make local sales and decrease the accounts receivable days. Bottom line (excuse the pun), your project should have more cash on hand if you have a competent project accountant working on your team. If your company is looking to embark on an ambitious project that needs expert financial management, contact The Finance Team. 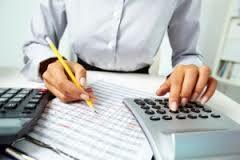 Our qualified project accountants can guide your venture to financial and logistical success. They are happy to come in to assist for as long as you need them and no longer. 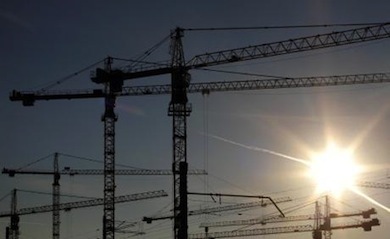 A challenge faced by many CFOs is the long-term financing of infrastructure and industrial projects based upon the projected cash flows of the project rather than the balance sheets of the company. Since a project financing structure often involves a number of different equity investors, as well as a ‘syndicate’ of banks or other lending institutions that provide loans to the operation, a critical element is the financial modeling to support the success of the project. CFO’s are often required to demonstrate increased control over the business from their finance function whilst at the same time reducing costs, yet be visibly adding value to the business, both through processes and it’s people. CFO’s are finding greater cost pressures from inside their organisation and dealing with these pressures has meant that the more visionary CFO’s have transformed the finance function to be more creative and resourceful, especially when undertaking new project financing and the associated financial modelling and strategies. They are turning to highly skilled and experienced financial experts to assist with project financing. This means that CFO’s are able to have increased output whilst saving costs – maximum output affordable investment with managed risk. “We have found that more and more CFO’s are leaning towards using part-time or interim finance resources to consult on new or proposed project financing assignments. These outsourced finance individuals have many years of experience behind them in a variety of industries and are able to bring valuable insights to the table,” comments Richard Angus, CEO of The Finance Team. Outsourced financial executives bring many skills to the table. They are able to supply insightful business intelligence through up to date understanding of compliance and control, reporting procedure, operational efficiency and insights. These outsourced resources keep pace with changing environmental issues such as regulatory efficiencies, reporting, tax legislation, lending procedures, forecasting and profitability. “Outsourced financial executives have a wealth of experience and knowledge; therefore, they are able to assist the CFO with integrated planning strategies, accurate forecasts as well as qualitative and quantitative analysis of the financial data. They are able to do this on a project basis thereby limiting expenditure and minimising risk as these resources are not employed full time. It is advisable however, when engaging a part-time or interim finance resource, to ensure that they are reputable and have references that can be checked. The alternative is to engage the services of a company that provides trusted part-time or interim finance resources. Their associates will have undergone a strict and thorough screening process before they are permitted to join the team. Your success is their success,” concludes Richard.